You are going to Watch One Piece Episode 432 English dubbed online free episodes with HQ / high quality. Stream Anime One Piece Episode 432 Online English dub The Unleashed Swan! A Reunion with Bon Clay! Buggy and Mr. 3 come across Mr. 2’s cell, and release him, telling him Luffy is in the prison, working his way towards level 5. Meanwhile, the navy arrives at Impel Down to help capture Luffy. 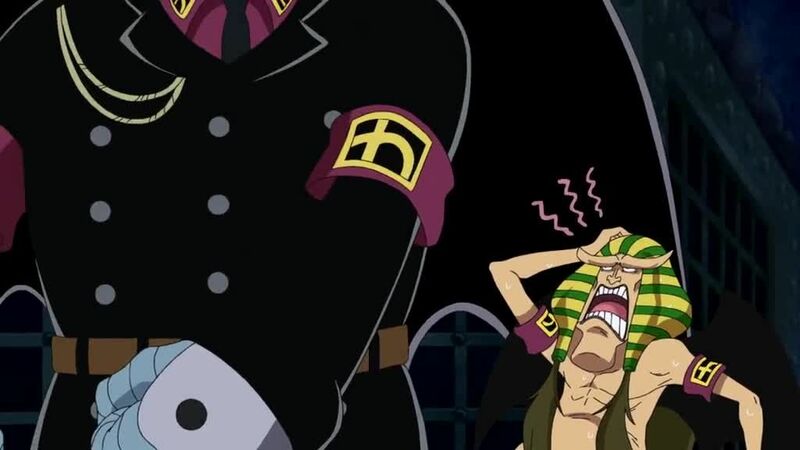 The captain of the guards, Sadie, order them to guard the outside of the prison, as the Impel Down guards are perfectly capable of catching Luffy themselves. Boa Hancock has finally made it to Ace’s cell, and manages to inform him Luffy is coming to his rescue while Magellan and the others are occupied with other prisoners acting up. As Luffy closes in on the stairs leading to level 4, he is attacked by Saldeath and his guards, but gets unexpected help from Mr. 2, who has decided to help him in his quest.